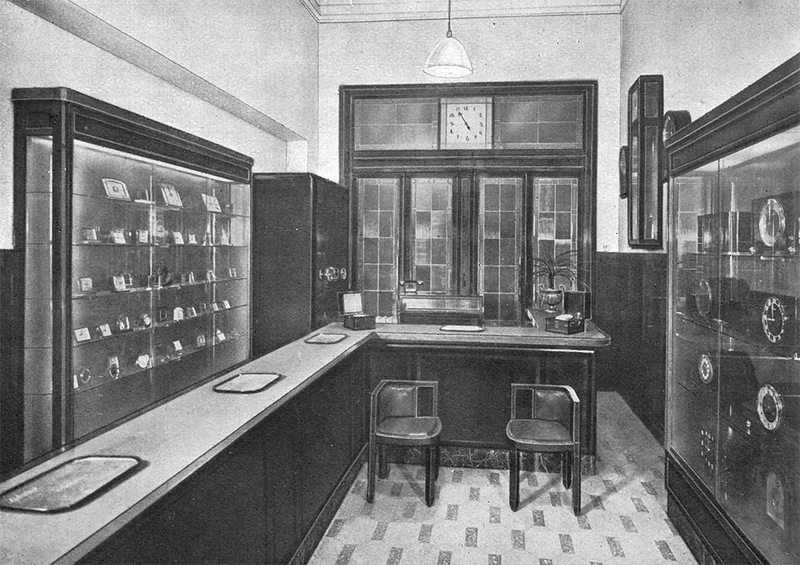 The Orologeria Svizzera (Swiss Watch Shop) was the famous watch shop of the Panerai family. 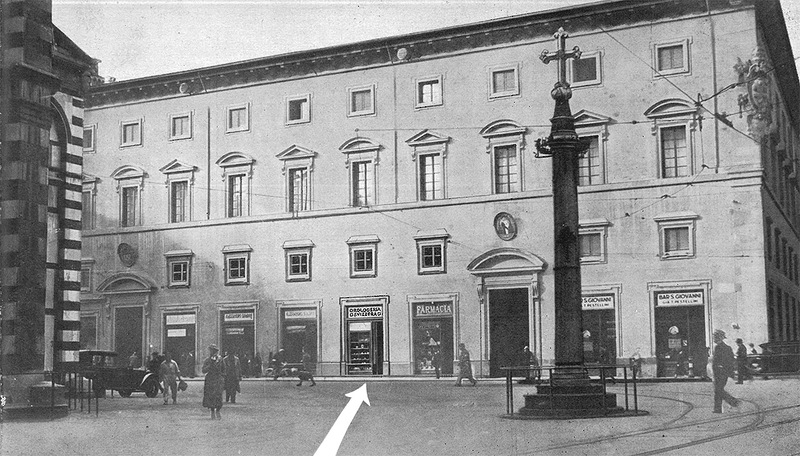 Everybody who spent time studying the history of Panerai knows the famous image of the Orologeria Svizzera at the Piazza San Giovanni in Florence that was taken in the 1920s. Some time ago, I came into possession of new and amazing images of the shop… These new images are from around 1936 and they don’t show just the store front. 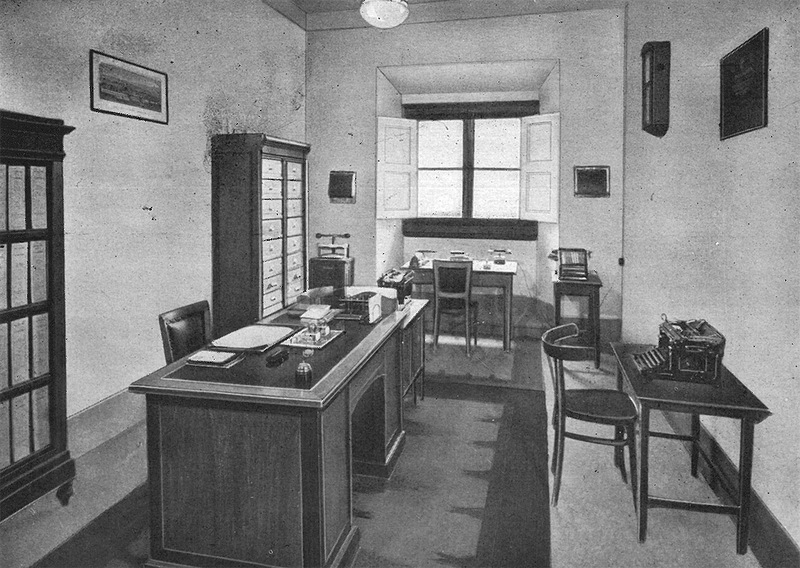 No, this time, and for the first time ever, you’ll have the chance to cast a glance at each room and make a virtual walk-through of the Orologeria Svizzera of the 1930s. But first things first. Let’s talk about the 1920s image first, as the following article wouldn’t be complete without the following episode. Just recently, the modern Richemont Panerai published a manipulated version of the historical photography on their Instagram account. 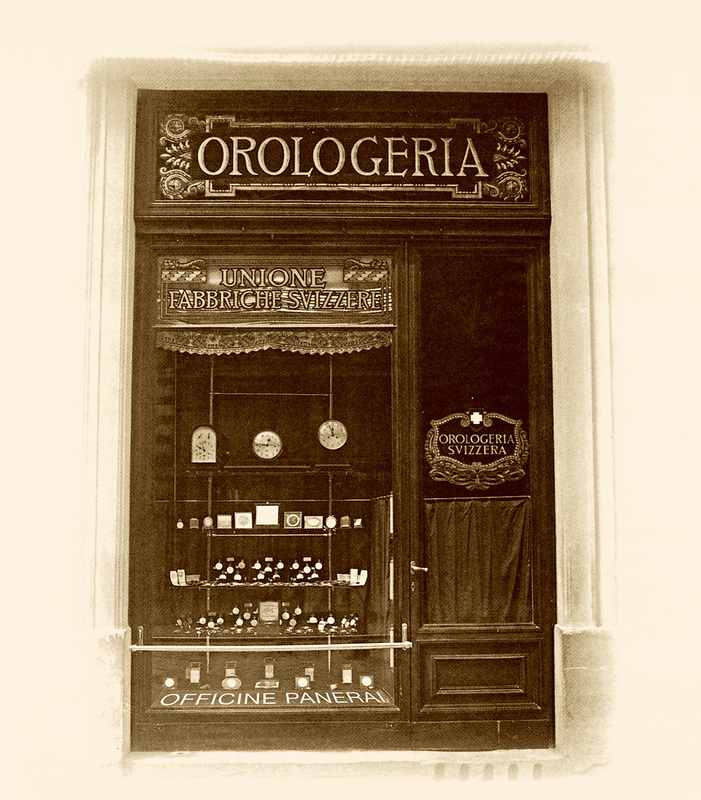 The inscription “Orologeria Svizzera” at the bottom of the shop window was replaced with “Officine Panerai” in order to trick people into believing the name “Officine Panerai” existed already in the 1920s. In reality, the name Officine Panerai was first used for certain applications during the mid 1950s onwards, even though the real company name continued to be G. Panerai e Figlio (Guido Panerai and Son). 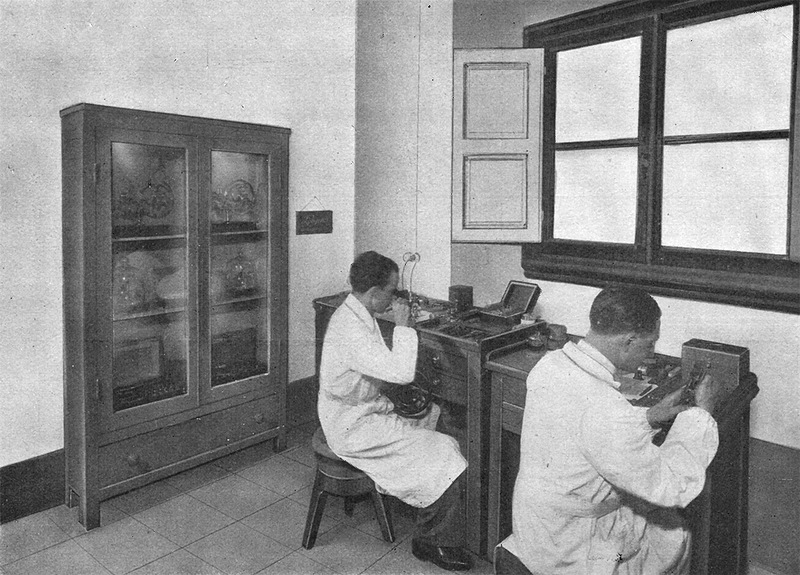 After Giuseppe Panerai’s death in 1972, a navy officer named Dino Zei took over the helm of the Florentine company and changed the name to Offcine Panerai. However, a well-placed post on my Instagram account perezcope (click to follow) made this shameless forgery go public and triggered a massive shitstorm on Panerai’s Instagram account. The comments on Panerai’s post were so negative that Panerai was forced to delete the image and re-publish the original photography. The supreme irony with the falsely manipulated image above (on the left) is that they used the “Helvetica” typeface for “Officine Panerai”, a font which wasn’t developed until 1957. We can only hope that the Richemont company that calls itself “Panerai” has deleted this forged image once and for all, and that we’ll never ever see it again. Now let’s move on to positive stories about the Orologeria Svizzera. 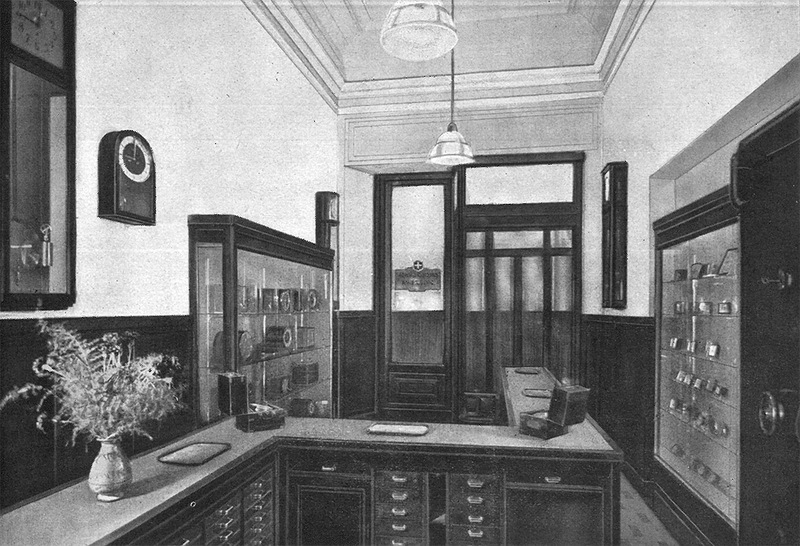 Let’s travel back in time to the year 1936 and have a look at the watch shop and the rooms above the ground floor. 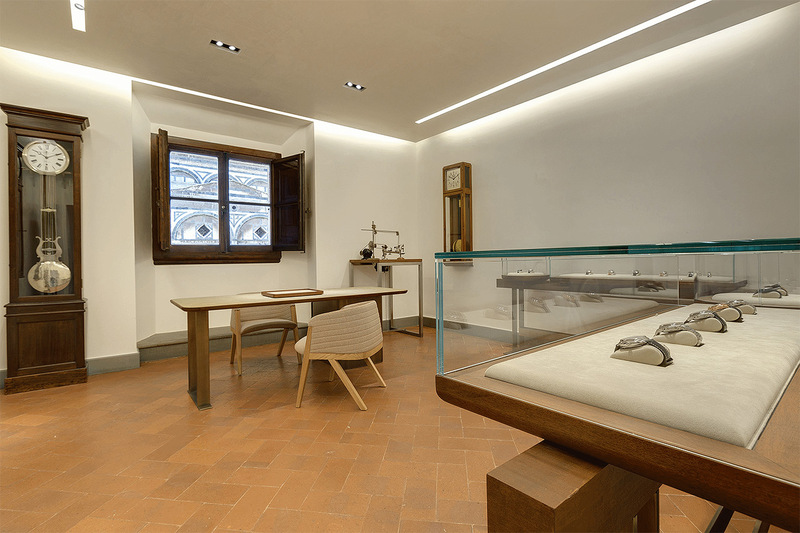 The shop is housed in the historical Palazzo Arcivescovile (Archbishops’s Palace) at the Piazza San Giovanni (St. John Square) just opposite the Duomo, in Italy. 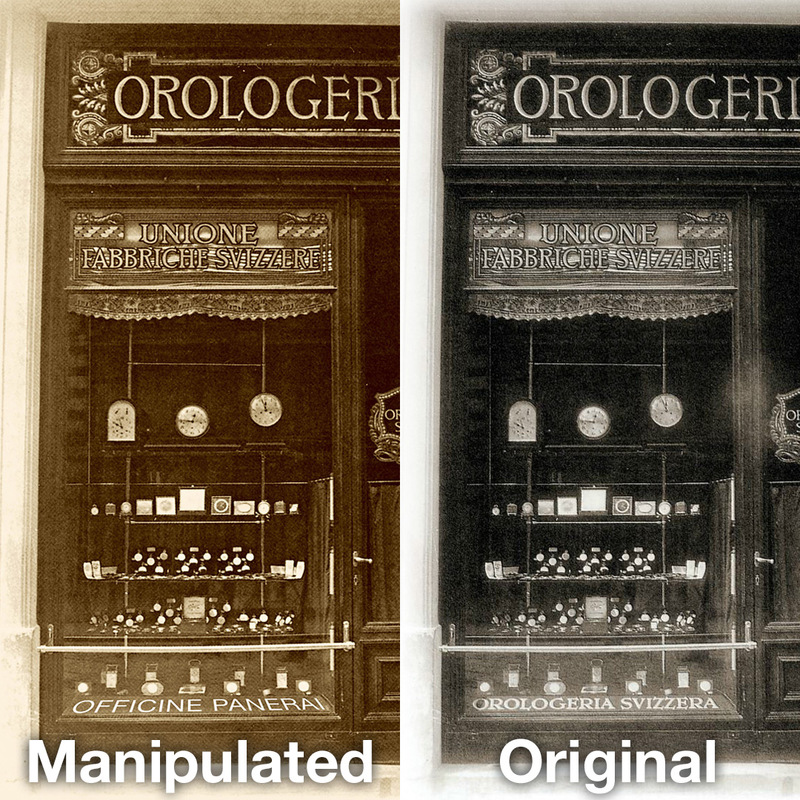 The arrow at the bottom of the image is pointing to the original Orologeria Svizzera shop. Check out the display. The Orologeria Svizzera retails some of the best Swiss watch brands. Vacheron & Constantin, Longines, Rolex, Angelus… Don’t be shy, please step in. Welcome to the Orologeria Svizzera. Please look around and let me know if you like anything. Can you hear the loud tic toc sound of the countless clock and watches? How about those fantastic marine chronometers on the counter? Please come behind the counter. 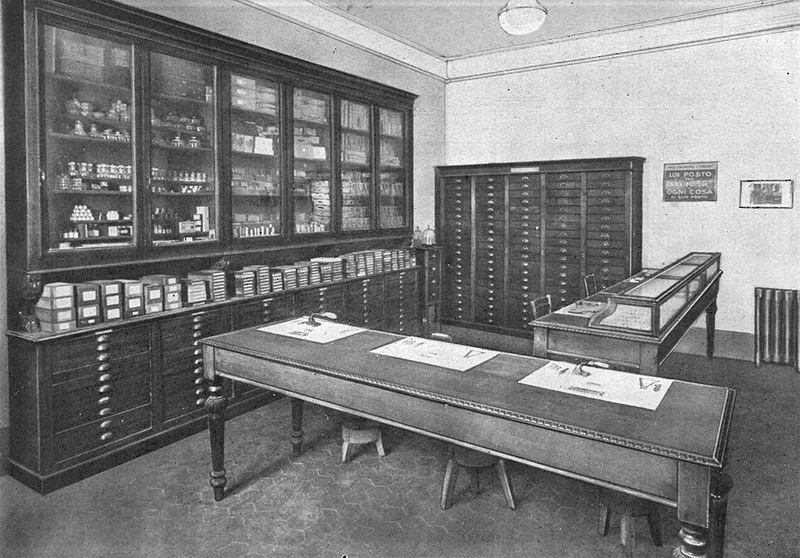 The shop itself is quite small but there are more rooms upstairs. Wanna see them? Let’s go upstairs.. This is the famous pendulum room on the first floor. Have a look at the window. You can see the Battistero di San Giovanni (Baptistery of St. John) through the window. How cool is that? 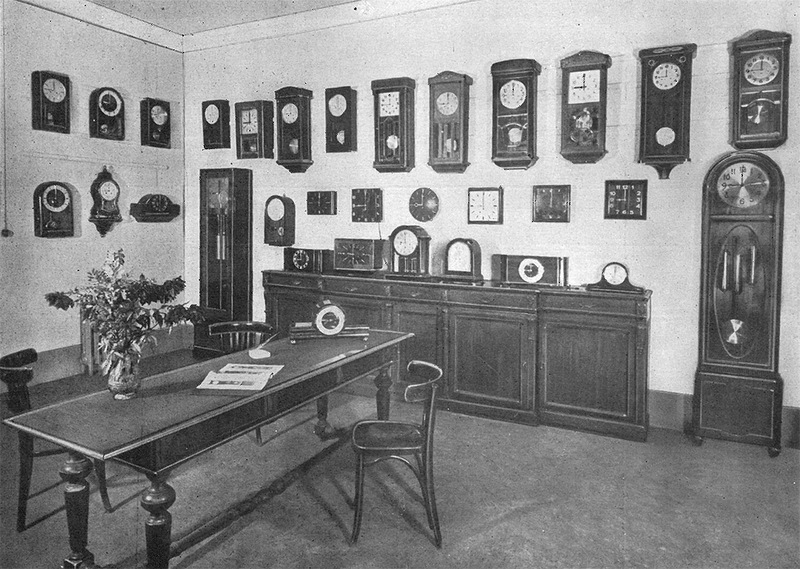 As you can see there is a large collection of pendulum clocks and table clocks. Listen to the incredible sound in this room… Would you like to see our repair workshop? Please be very quite here. The watchmakers have to focus on their work. Have you noticed the big pendulum clock near the window? Let’s take a closer look at the image of the workshop. 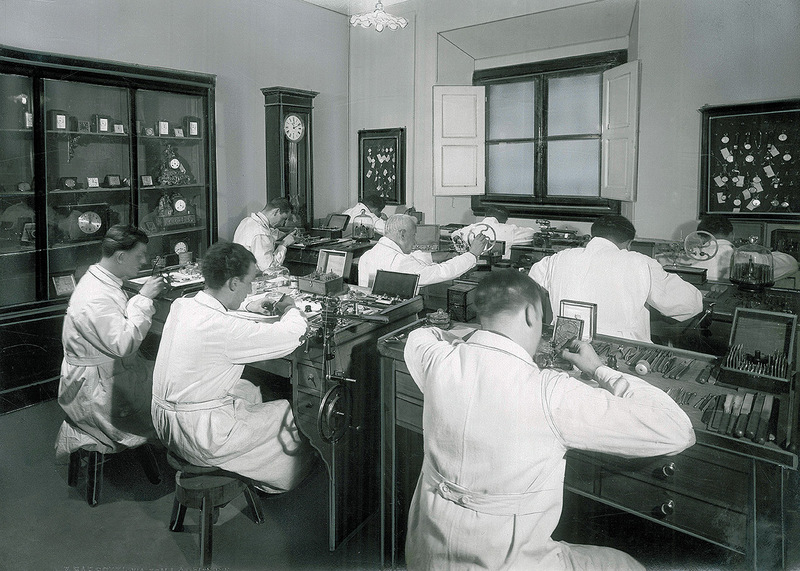 There is a famous picture of Hans Wilsdorf, the founder of Rolex, supervising his watchmakers. 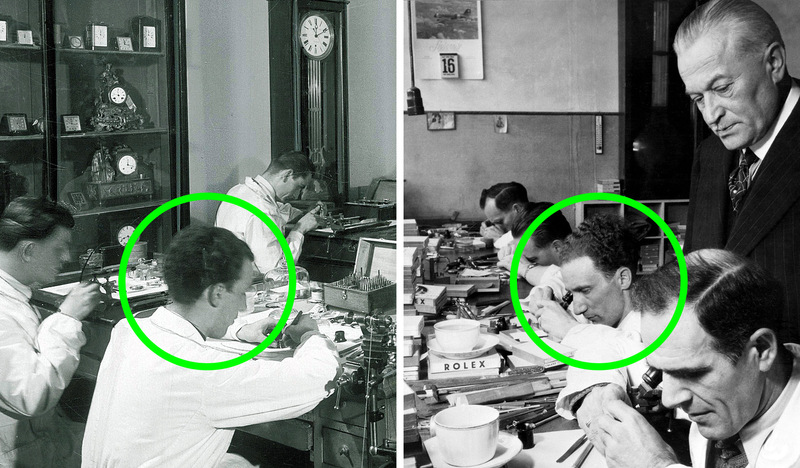 One of Rolex’s watchmakers has an uncanny resemblance with one of the watchmakers of the Orologeria Svizzera. Could this be the same guy? 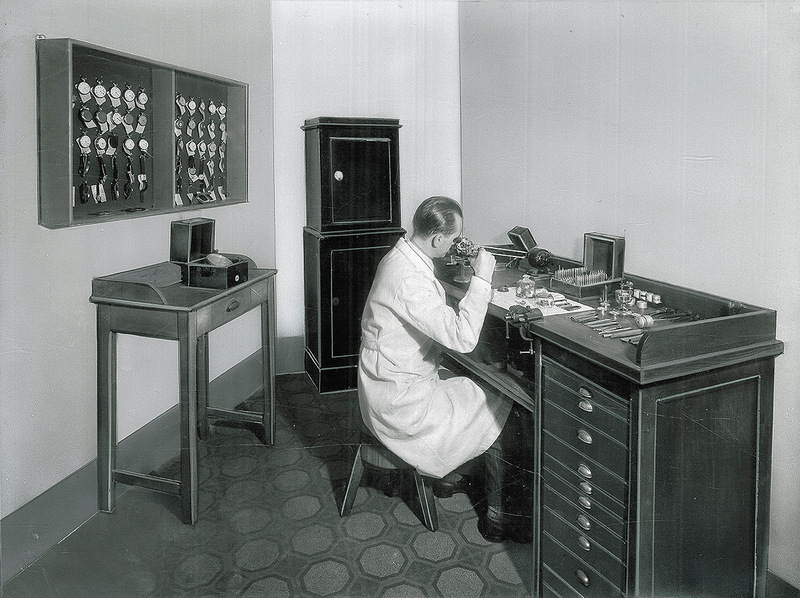 If it is the same guy, he possibly worked his way up from the Orologeria Svizzera in Florence to Rolex in Switzerland, or maybe he was a Rolex employee all along and he was at the Orologeria Svizzera to train the Florentine watchmakers. This amazing photo of Hans Wildsdorf was probably taken during WW2. 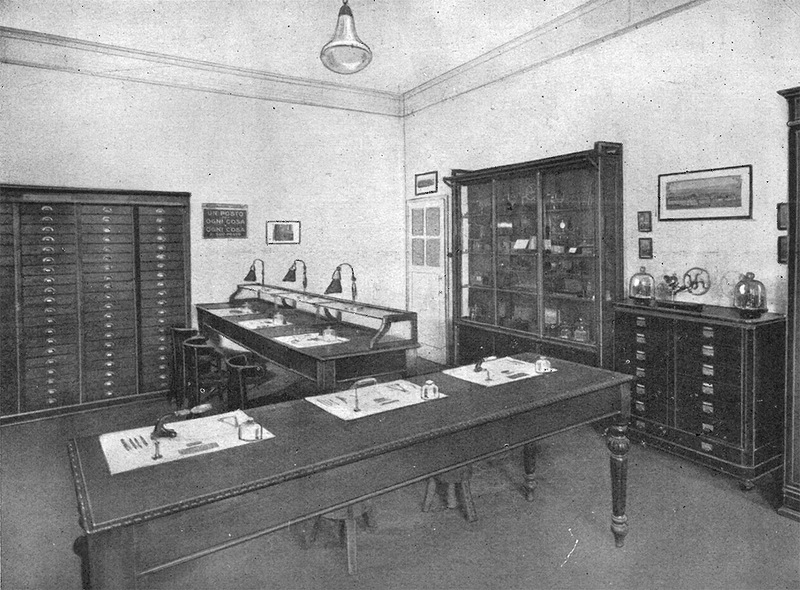 Evidence for this can be found on the image itself (click to enlarge). 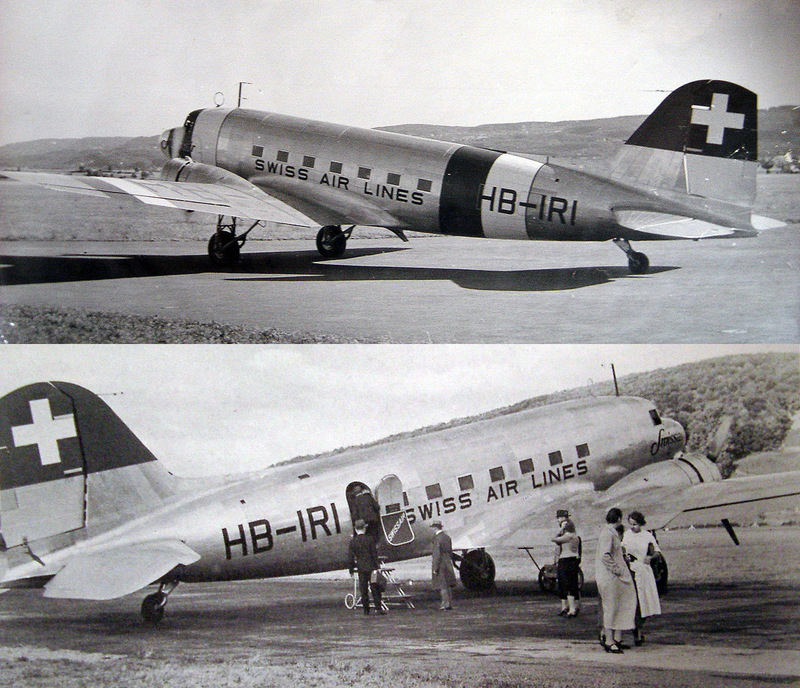 The Swissair calendar on the wall shows a Douglas DC-3 of the Swissair fleet, with typical Swiss “Neutrality Markings” used between 1939 and 1945. This type of markings were only used during the war in order to not be confused with belligerent aircrafts. 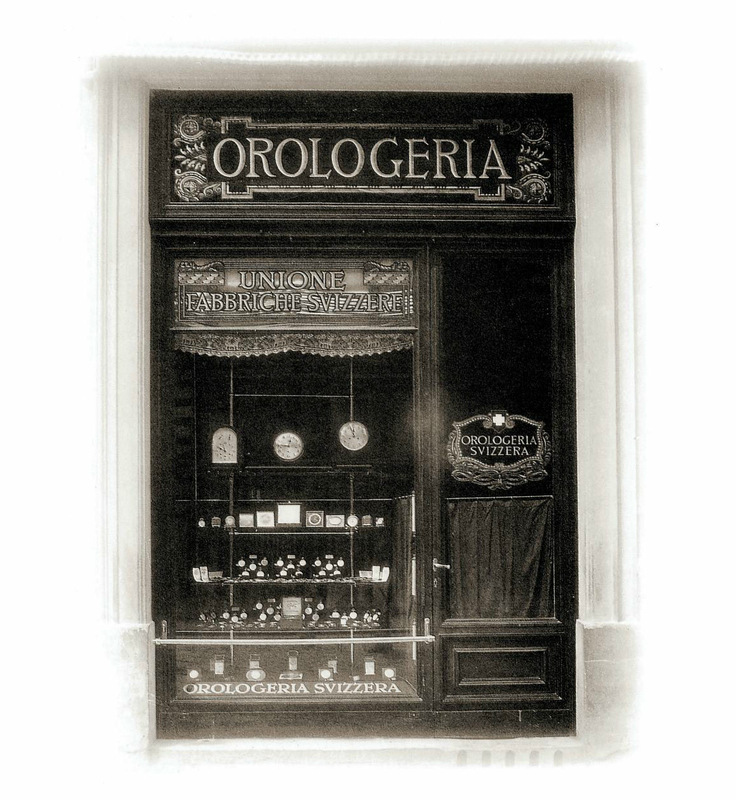 Ok, let’s continue with our walk-through of the Orologeria Svizzera, shall we? This is where the chronographs and complications are serviced. The guys who work here are skilled specialists, the best in Italy. The head of the workshop is always very busy. 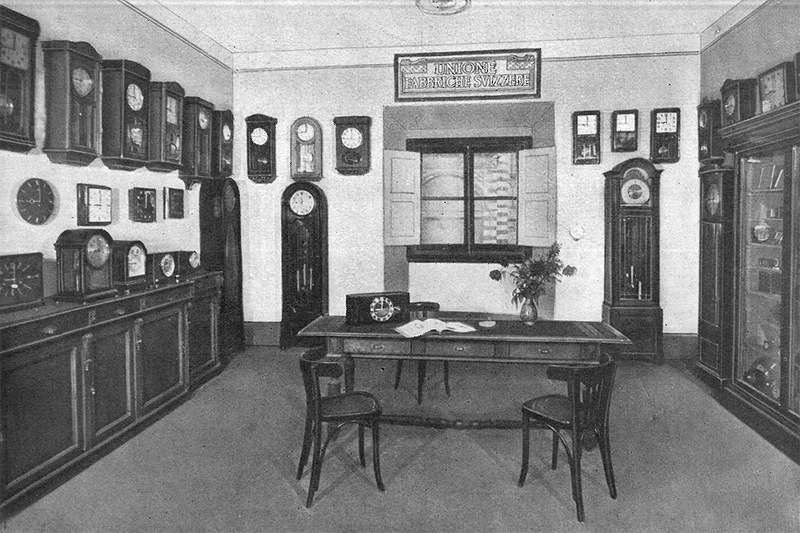 He is a true genious and makes the final checks before the watches are handed back to the customers. Wanna see where the spare parts are stored? Voilà! 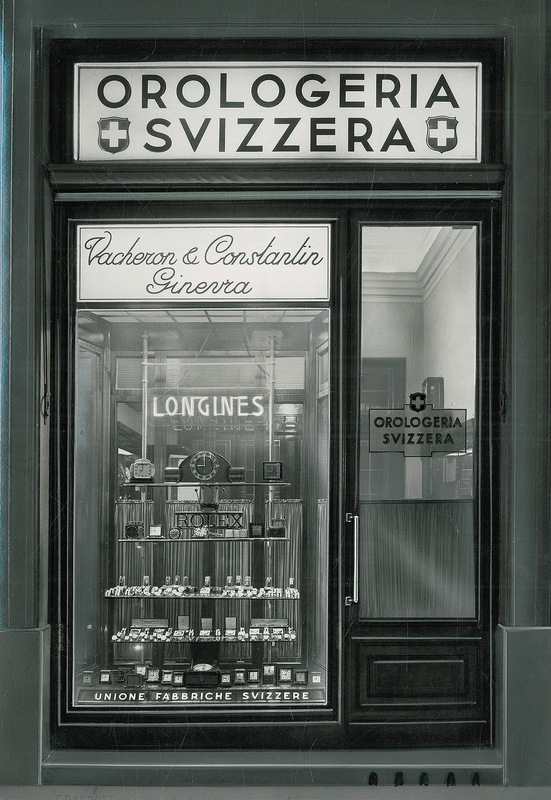 The Orologeria Svizzera is known for their well-sorted stock of spare parts. Note the sign on the wall. It says: “Un posto per ogni cosa, ogni cosa al suo posto.” A place for everything, and everything in its place, basically an invite to keep everything in order. Let’s have a look at the administration of the shop now. 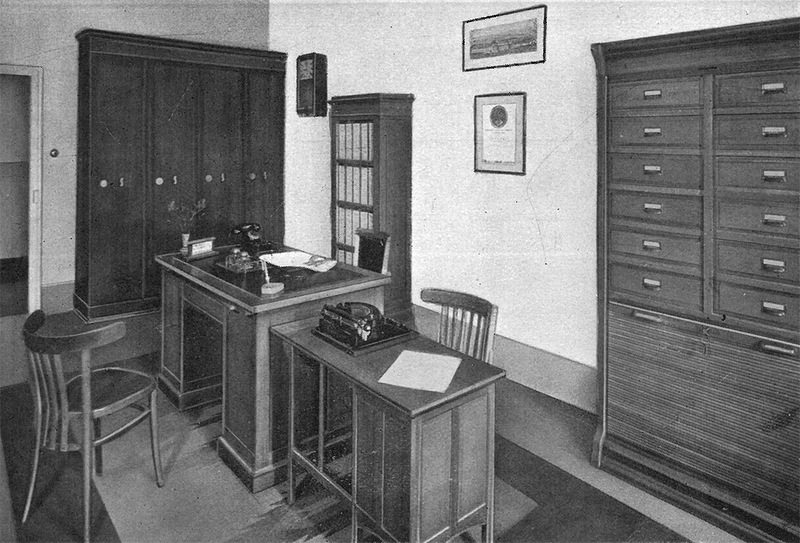 This is Maria Panerai’s office. Maria is Giuseppe Panerai’s older sister and she manages the watch shop while Giuseppe works at the Villino Panerai near the Piazza Galileo Ferraris, where he creates ingenious technical equipment for the Italian Navy. Maria shares this room with her assistant. We have reached the end of our little tour. I hope you liked it, and the surprises that came with it. Thank you very much for coming and for your interest.